The Little Market was founded with a mission of empowering women in marginalized communities all around the world. Many of the artisan women we work with face social and economic hardships, and every purchase at The Little Market contributes to fair wages. We are proud to support a fellow nonprofit, CARE with its mission of empowering women and girls throughout the world. Below, our colleagues at CARE share the story of Peninah Musyimi, an inspiring, hardworking woman with a passion for making a difference. Peninah embodies determination and perseverance. Growing up in Nairobi’s slums, she poured her life into education. She knew she wouldn’t have enough money to pay for university, so she searched for other ways to achieve her dream. 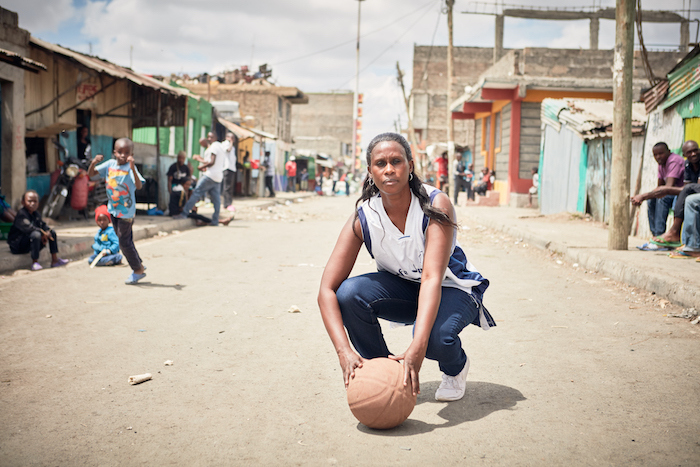 In order to win a sports scholarship, she taught herself to play basketball in a single month. After university, she became a lawyer who represents battered women and founded Safe Spaces, an organization that helps empower women and girls escape poverty in Nairobi. Peninah Musyimi grew up in Nairobi’s Mathare Valley, where most people live on an income of less than a dollar per day. Peninah was never sure when she would eat next, as her family could rarely afford enough food. She survived because she “started dreaming big.” No one else would change things for her — she had to be the change in her own life. Knowing that education was the way to success, Peninah poured her life into learning. After she graduated primary school, the closest secondary school she could find was eight kilometers a day. She walked both ways, 16 kilometers a day. It was hard, but she was determined. “I forgot all the reasons why something should not work, and found the one reason why it should,” she says. Her dreams of becoming a lawyer propelled her towards university. She received a loan, but still needed 400 more euros to pay for her tuition. “If you want something you have never had, you must be prepared to do something you have never done,” she thought. She had never played basketball before, but upon hearing about a basketball scholarship, she taught herself to play the sport in only a month. She secured the scholarship, graduated university, and became a lawyer representing battered women in Nairobi. 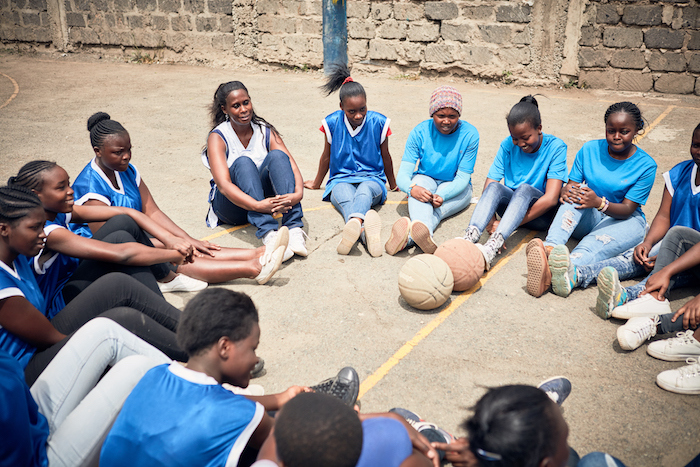 Still wanting to do more, Peninah founded Safe Spaces, an organization helping vulnerable women and girls in Nairobi through sports, peer education, mentorships, and technical and entrepreneurial skills. 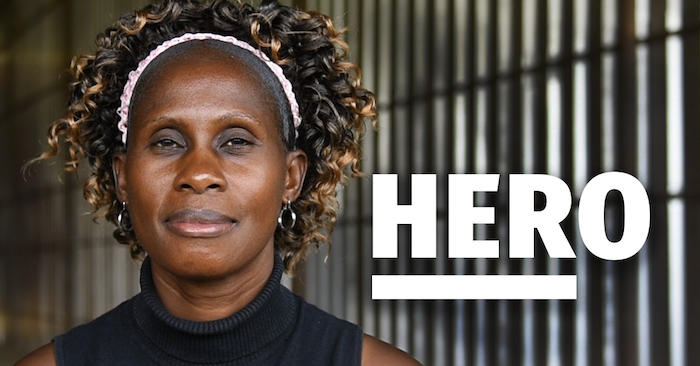 Through Safe Spaces, Peninah has seen great changes in the community. The self-esteem of the women and girls involved in Safe Spaces has improved as idleness and hopelessness has decreased. Teenage pregnancies in the area have been significantly reduced since 2008. The rate of high school attendance and graduation has increased. Community support for the program has blossomed. Women like Peninah put the HER in HERo every day. When you FIGHT with CARE®, you fight for the success of the most vulnerable women and girls. 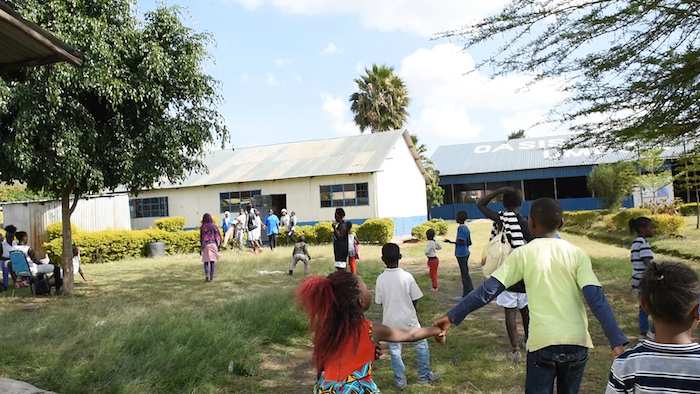 Visit care.org to learn more about CARE’s projects, and to learn how you can help support programs like Safe Spaces around the world. Thank you to CARE for your incredible partnership and mission, along with sharing Peninah’s story with us! To learn more about CARE, visit our blog post. To shop our collaboration and support women and girls in marginalized communities, visit our site.